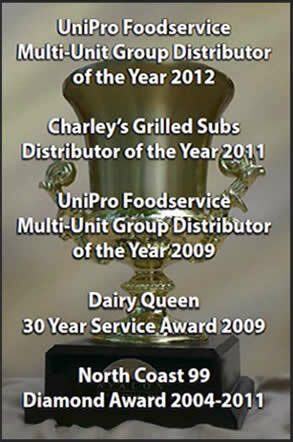 Avalon Foodservice has been recognized by UniPro Foodservice Inc. and the Multi-Unit Group as the 2012 Distributor of the Year, as voted on by the multi-unit customers serviced by the organization. 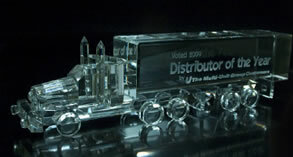 UniPro Foodservice is the largest foodservice distribution cooperative in the country. Comprising over 650 shareholder companies, each distributor is independently owned, marketing the products and services provided by UniPro Foodservice, Inc. Within the UniPro Foodservice membership a network of distributors form the Multi-Unit Group to service multi-unit foodservice operators with locations throughout the country. Some of the multi-unit customers included in the Distributor of the Year selection process were: Buffalo Wild Wings, Honey Baked Ham and Charley's Grilled Subs to name just a few. The attributes Avalon possesses, that were recognized by the customers in the selection process include, the ability to consistently deliver complete, accurate and timely orders which assists the customers in making their business transactions with Avalon seamless. We are most appreciative of the efforts of the Avalon associates, throughout all functional areas of the company, that continually provide outstanding customer service and demonstrate Avalon's commitment to "be the best at what our customers value most".